Boots and a hat are key—the rest is simple. 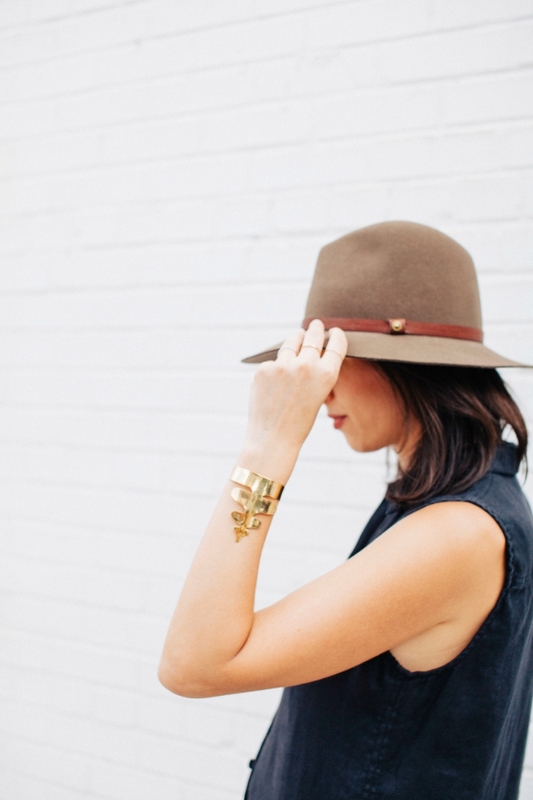 I wear this hat on repeat and I especially love the pecan color because it goes with everything. 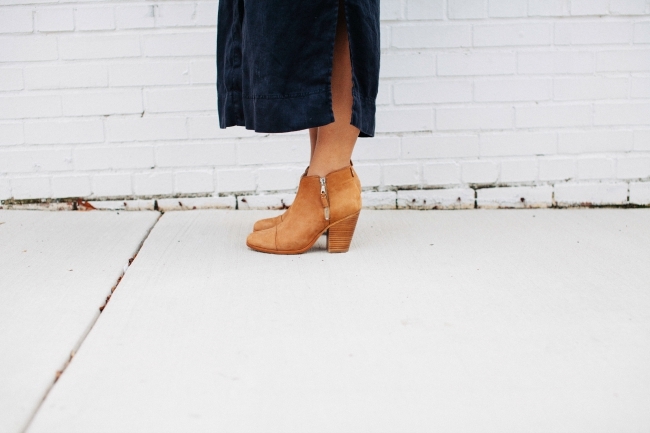 The booties were a Nordstrom sale score and they are good. If you love them too, here's the deal. They are pricey, but the quality is insane. Go up a half size for comfort and if the camel color isn't available, go with the black. The black is more faded and has an amazing worn look to it. 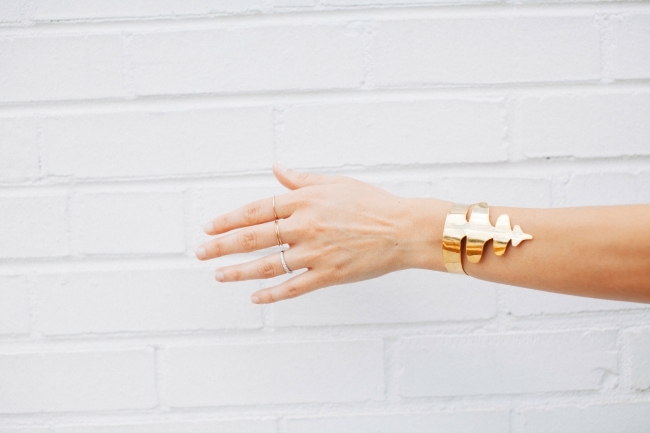 This beautiful cuff can be found over at Victoria Road. Victoria Road not only carries stunning and eclectic pieces, but they help emerging designers in Pakistan, India and other countries in the region be successful in global markets. They support women-run small businesses and also help ensure that they are working under ethical conditions. 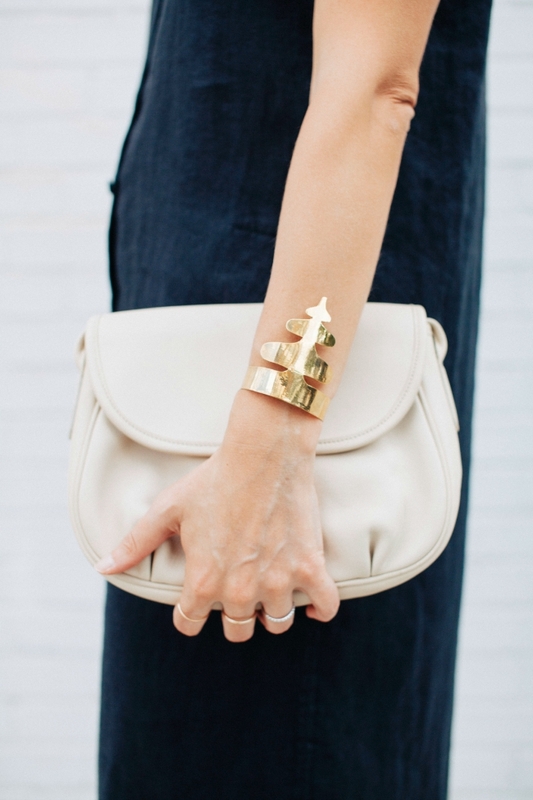 They do some serious good and also carry one-of-a-kind luxury pieces. 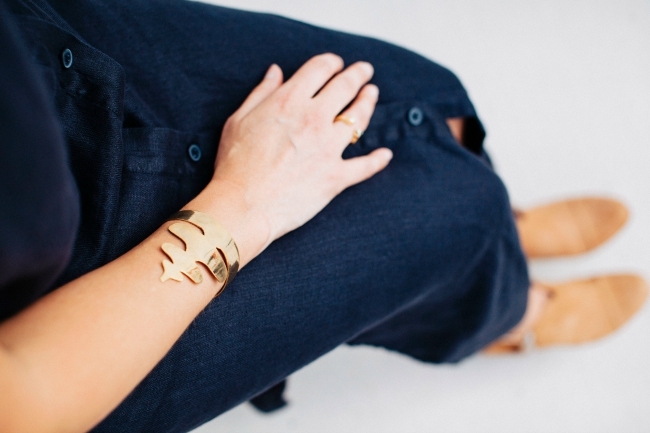 You can find my cuff right over here and don't miss these rings or these ear cuffs. Victoria Road is offering 25% off Handbags, Accessories, and Summer Travel Staples to you. Just be sure to use TPS25 at checkout! The discount will run for one week, so don't wait too long. Grab your favorite summer dress, a pair of boots, this cool ear cuff and you are ready for fall. 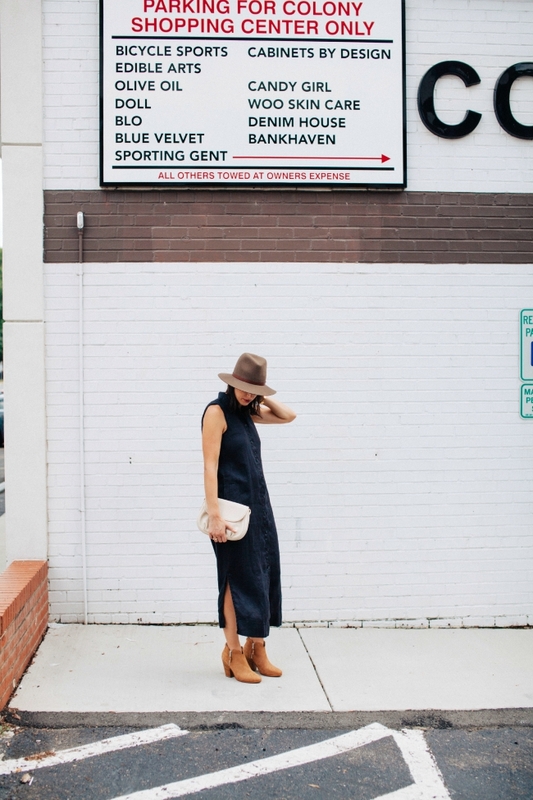 I love navy for Fall and you're rocking that hat!